Do you have in your travel plans an epic road trip through Australia's mighty outback and beachy coastlines, or New Zealand's spectacular scenery, mountains, lakes and friendly small towns? If so, you're in luck - neither country has very much in the way of tolled roads, with most highways and byways free to drive on. However, there are a few in each nation. Knowledge is power when it comes to tolls in Australia and New Zealand, which are all cashless electronic systems. You will need to remember to go online and pay the charges in good time - or plan routes which avoid any routes which incur a fee! Australia has a number of toll roads, but they are very concentrated to the major East Coast cities of Sydney, Melbourne and Brisbane. Of course, that’s where the majority of road trips by visitors to the country will begin, so pay attention! Sydney (New South Wales) has cashless tolls, and the best way to pay for those travelers without an account is to get online (www.myrta.com) and set up a casual travel pass which can be backdated three days. Brisbane (Queensland) has a few toll roads dotted around the city. They are also fully electronic with no cash booths, using “go via” as a collector. You can visit www.govia.com.au and buy a pass for visitors. Melbourne (Victoria) has just two toll roads, EastLink and CityLink. You can purchase passes before or up to three days after travel on their websites, www.eastlink.com.au and www.citylink.com.au. To avoid these, pay close attention to signs which notify motorists of toll roads coming - there are always alternate routes. Some, however, such as the Sydney Harbour Bridge and Sydney Harbour Tunnel, make trips so much shorter that it is likely worth the small cost. 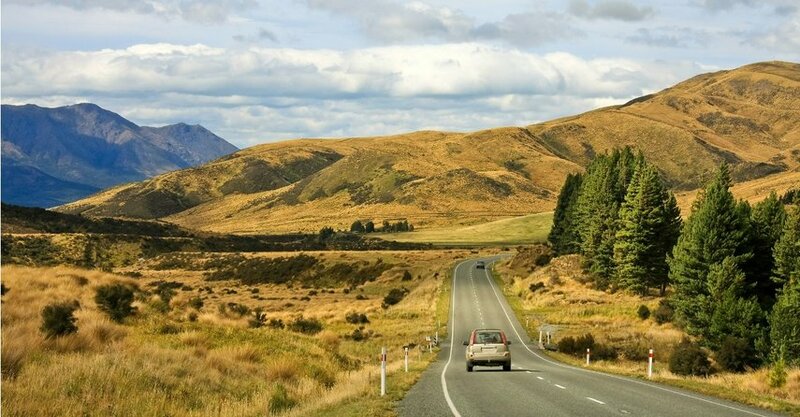 You can drive most places in New Zealand completely toll-free! However, there are currently three tolled roads which are easily avoidable should you wish to do so. They register license plates automatically and you can then pay online at tollingonline.nzta.govt.nz or pay in cash at selected petrol stations which are listed on that site. Auckland Northern Gateway is just north of Auckland on the main State Highway 1. It can be avoided with a detour through Orewa and Waiwera, a more scenic route which only adds around ten minutes’ driving time! Tauranga Eastern Link is a tolled section of State Highway 2 just to the southeast of the city. It connects Papamoa to the rest of the Bay of Plenty coast, and is easily avoided by taking a route through Te Puke. Takitimu Drive Toll Road is in Tauranga near the city centre, linking State Highways 29 and 2. Alternative routes are via Cameron Road or Cambridge/Moffat Roads. If your road trip in Australia or New Zealand takes you enar any of the toll roads listed above, be prepared to pay or avoid! Otherwise, happy driving Down Under! For more information on road rules and customs, you can check out our Australia Driving Guide and New Zealand Driving Guide.